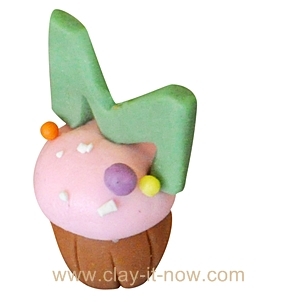 Don't miss our new clay creations, tips, ideas, updates and free tutorials. 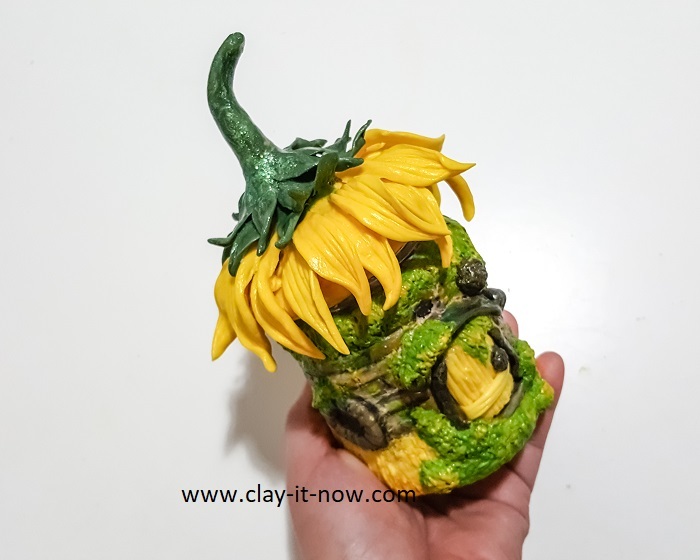 To subscribe to Clay Lovers Blog (no e-mail address necessary), RIGHT-click on the orange RSS button and then copy-and-paste the URL of the "RSS feed" into your blog reader. 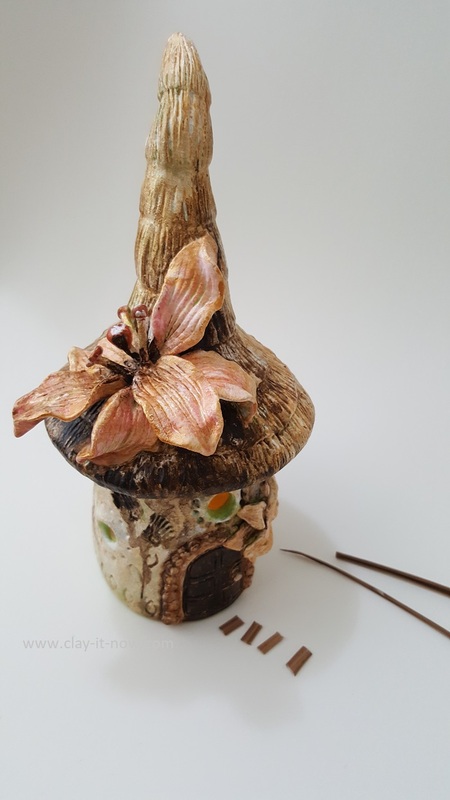 Continue reading "Easter Theme Fairy House DIY Idea"
Continue reading "Bee Fairy House Jar"
Blue mushroom fairy house idea - experimenting with shapes and colours. 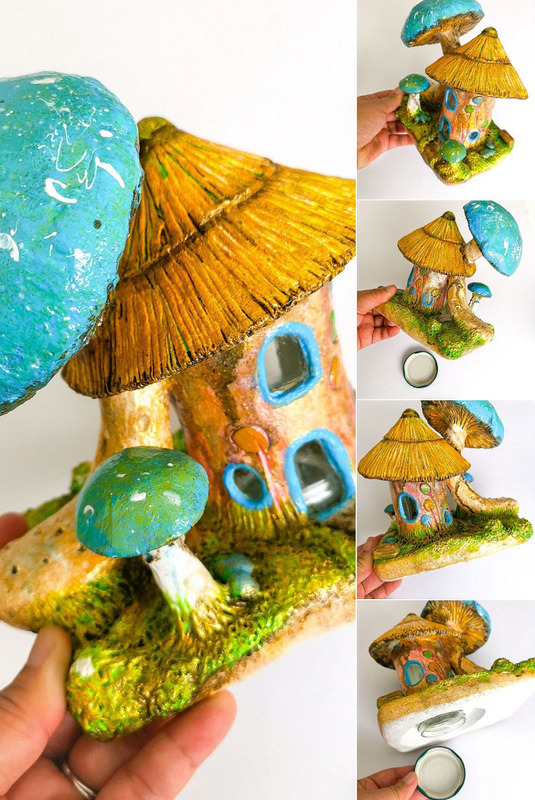 Continue reading "Blue Mushroom Fairy House Idea"
This blue fairy house may not have ordinary colour theme for fairy house. What do you think? 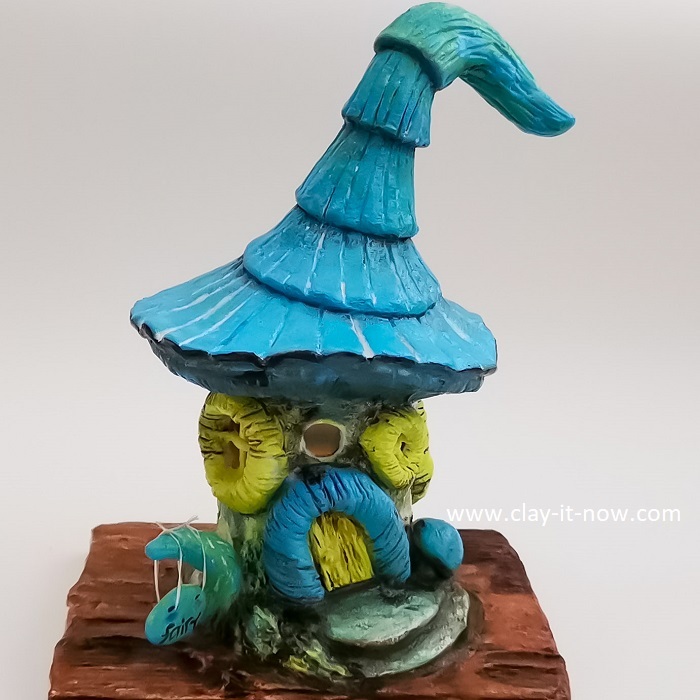 Continue reading "Blue Fairy House, Works with Homemade Clay"
Let's make little pumpkin cottage house with air dry clay or salt dough. You can use this as table light because you'll have LED tea light candle with on and off button. 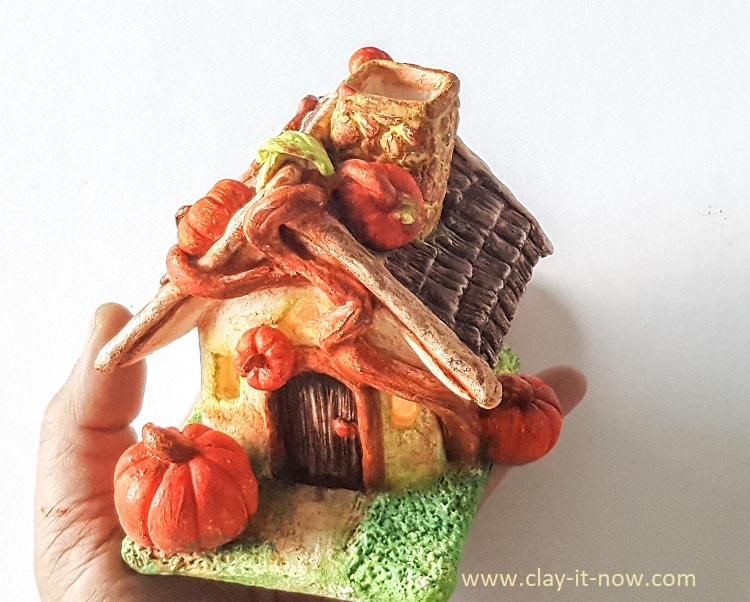 Continue reading "Little Pumpkin Cottage House"
Continue reading "Lily Fairy House Jar Lantern Works with Air Dry Homemade Clay"
Let's make sweet sunflower fairy house jar with air dry homemade clay. 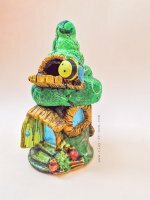 Continue reading "Sunflower Fairy House Jar Idea"
Continue reading "Best recipe for clay EVER!!!" 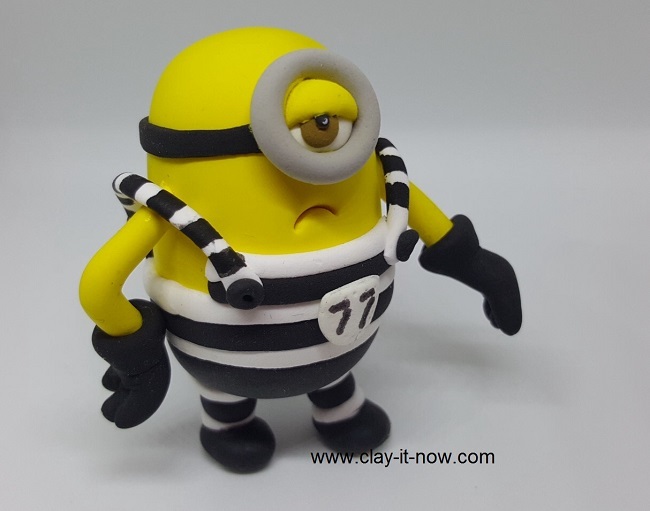 How to Make MInions from Despicable Me 3? When someone asked me "How to make minions with prison jumper"? 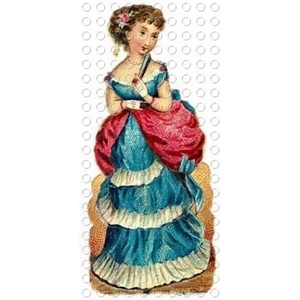 I thought OMG...that must be hard, I am not sure if I can do it but I tried and taa..da... I've made it! Continue reading "How to Make MInions from Despicable Me 3?" 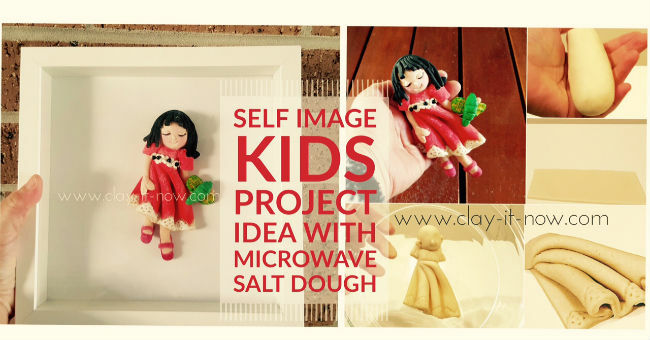 I thought this self image figurine project is fun for kids craft and fast to make because I use salt dough dried in microwave. 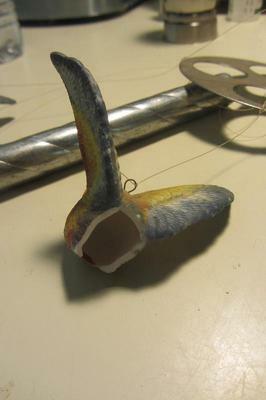 Continue reading "Self Image figurine with Salt Dough"
Continue reading "Broken ceramic wind chime"
Bicycle clay is one of clay figurines in my sports and hobbies series. 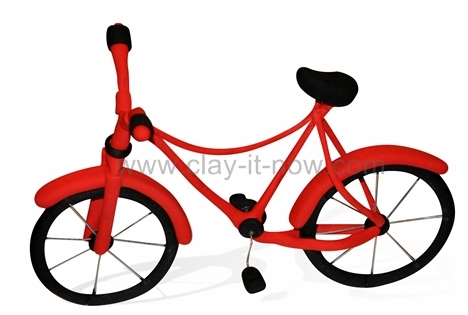 Continue reading "Bicycle Clay: step-by-step DIY guide"
Cupcakes for mum are miniature cupcakes to celebrate Mother's Day. 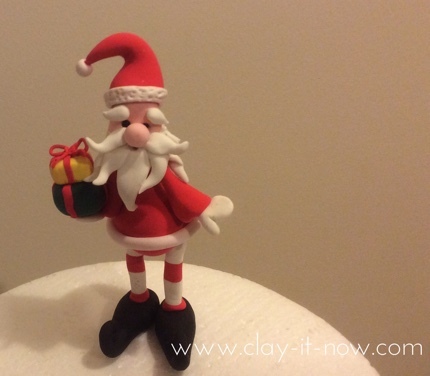 Continue reading "Cupcakes for Mum "
Continue reading "Santa Claus figurine"
Say I love you with your handmade Valentine's day craft. 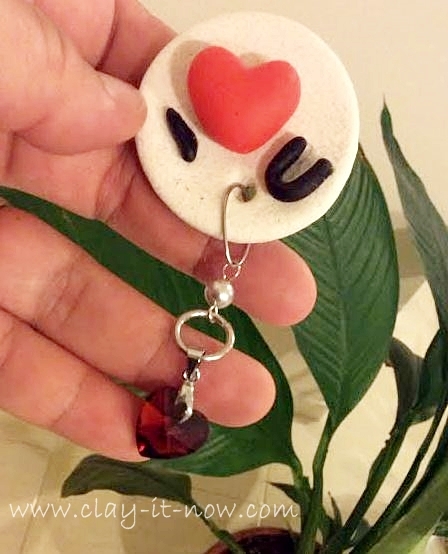 Continue reading "I Love You Valentine's Day Craft"
Cute mini figurines are the best gift for your kids, friends and relatives. Let me show you how to make your own version of "Mini Me". 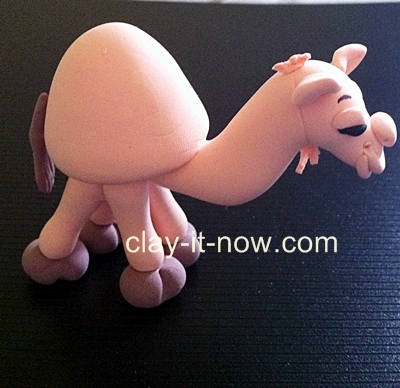 Continue reading "Cute Mini Figurines: Guide and Sample to Make Your Own "Mini Me" "
Designing animal figurine with air dry clay or other modeling clay is easy & fast when you follow my free tutorials. 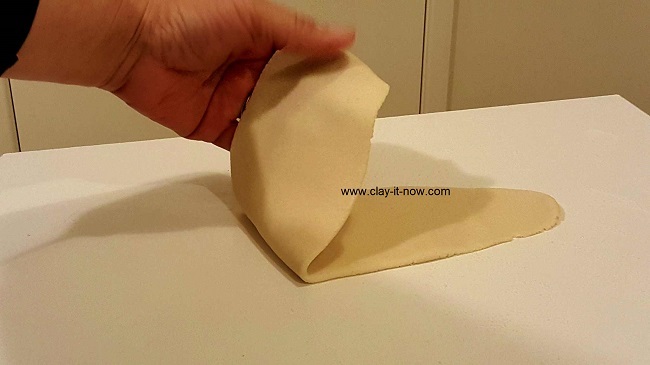 Continue reading "Designing Animal Figurine with Air Dry Clay"
Salt dough craft was known for ages for its versatility, easy and cheap materials. I have played with it for sometimes and found there are 3 modified recipe for different drying method.Check it out! 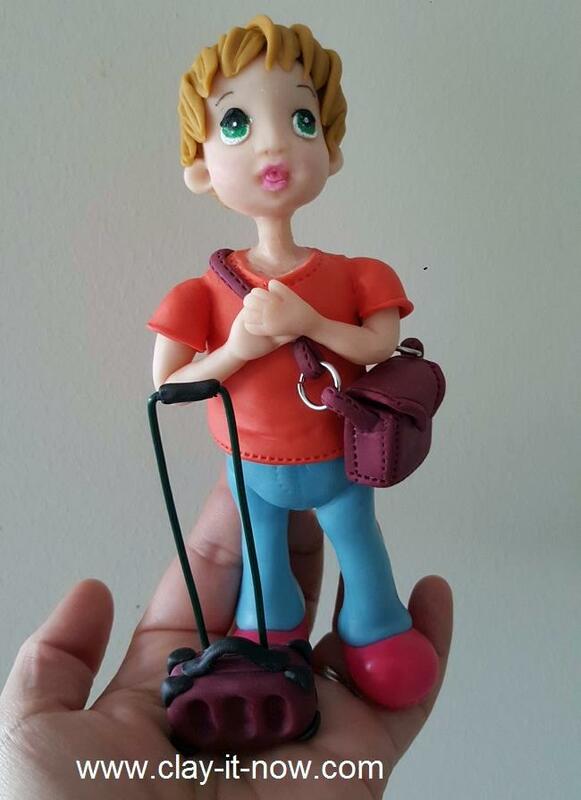 Continue reading "Salt Dough Craft, Traditional Material with 3 Drying Method "
Boy Figurine Idea "I am a Traveler"
THis boy figurine idea came from last school holidays seasons where I saw one boy said "I am a traveler"
Continue reading "Boy Figurine Idea "I am a Traveler""